So happy Valentine's day, everyone! 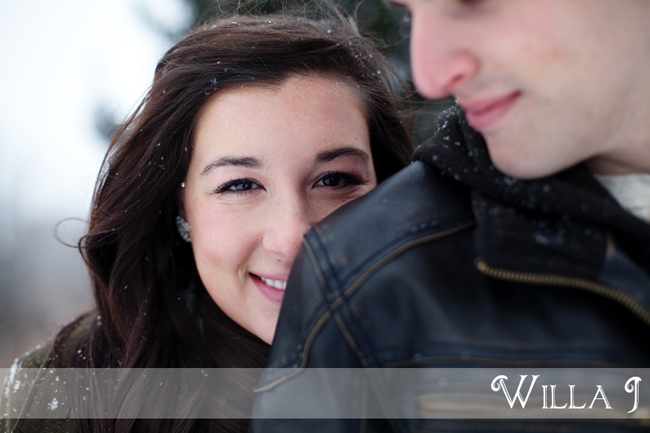 What better way to celebrate this day than by sharing a lovely, wintery engagement shoot? 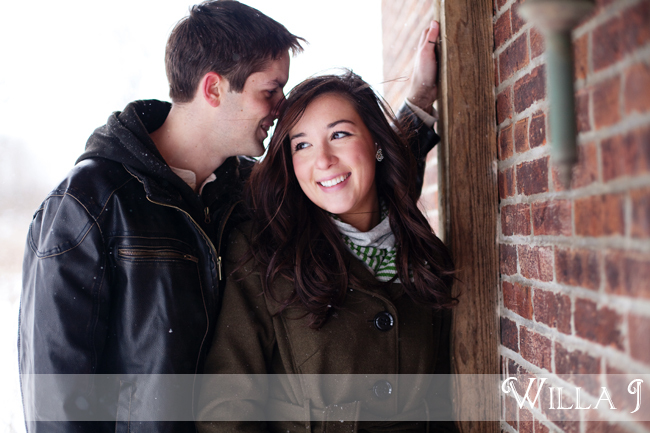 I love these two and I loved this shoot:). 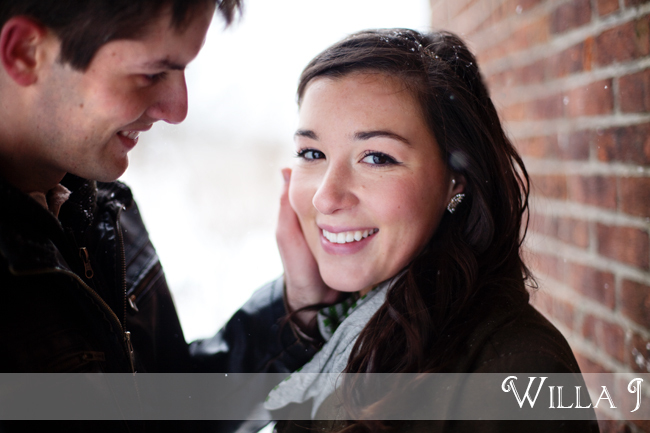 When Katlyn told me she and Dan wanted wintery engagement pictures, we kept an eye on the forecast and hoped for snow. 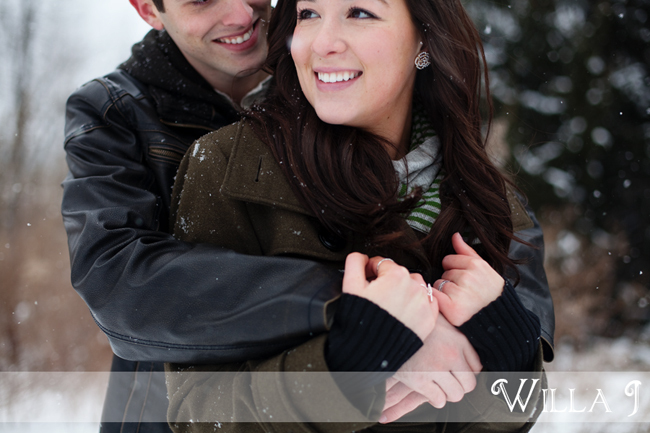 We've had a really mild winter here, but the snow showed up this weekend! 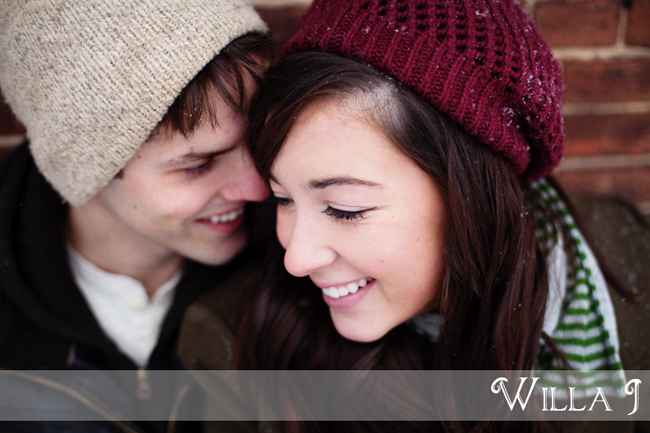 We were able to pull off the wintery look, but not without lots of texts and some rescheduling. 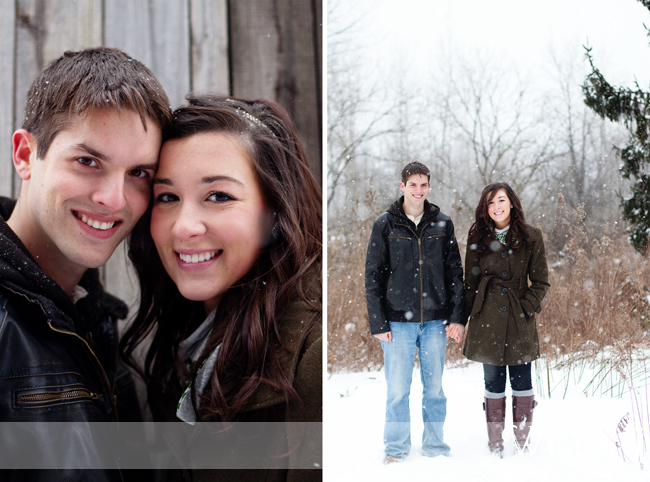 Katlyn and Dan were so flexible and trusting through it all. Because of the falling snow and freezing wind, we needed to work quickly. And these two were just wonderful! 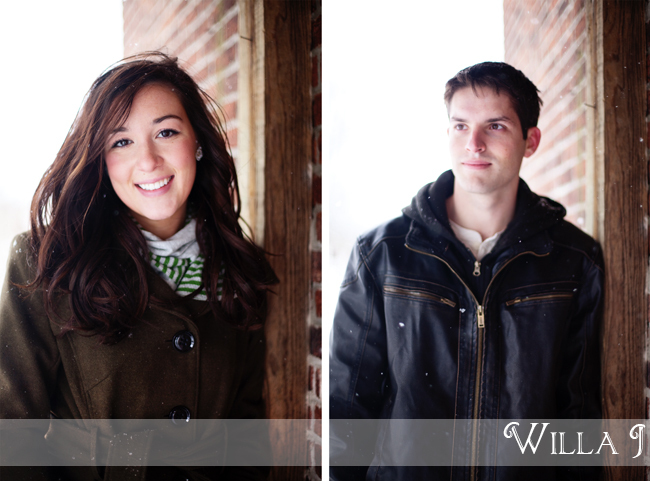 They were so natural in front of my camera and we were able to capture all of these images and more in less than 15 minutes! 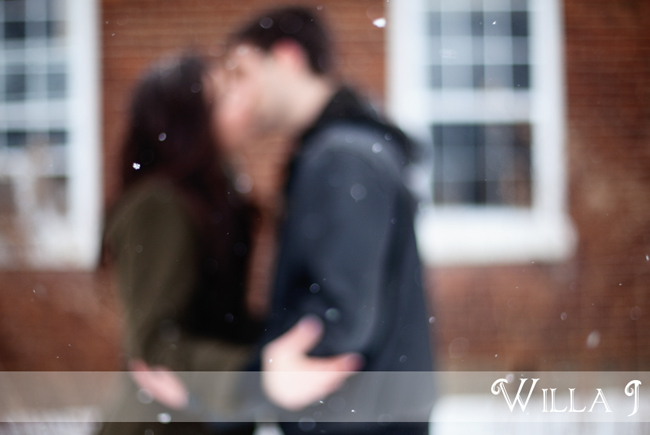 I wasn't able to hear their story (one of my favorite parts about an engagement session), but don't worry--you'll be seeing them again in the Spring:).